← Interview with narrator Valerie Gilbert ~ she has 115 narrations under her belt and going strong! Perhaps you need a great listen or a narrator to narrate one of your books? Her discography is at the end of the blog. Publisher’s Summary: For two years, England has been in the grip of Civil War. In Banbury, Oxfordshire, the Cavaliers hold the Castle, the Roundheads want it back and the town is full of zealous Puritans. Consequently, the gulf between Captain Justin Ambrose and Abigail Radford, the sister of a fanatically religious shopkeeper, ought to be unbridgeable. The key to both the fate of the Castle and that of Justin and Abigail lies in defiance. But will it be enough? 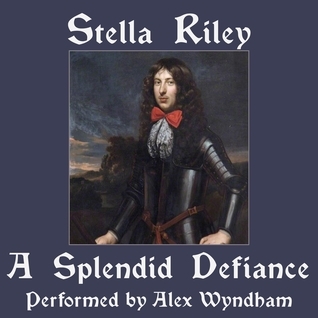 A Splendid Defiance is a dramatic and enchanting story of forbidden love, set against the turmoil and anguish of the English Civil War. My Thoughts: I enjoyed learning about the opposing forces of the English Civil War. The story didn’t go heavily into historical events, but gave a flavor of the crucial differences between its players. The English Civil War, comprised of three wars, whose time spans between 1642 and 1651. Banbury is an interesting setting for the story. During the Civil War emotions ran high with polarizing views in this town used as an operational base by Oliver Cromwell. The town’s majority of people are of Puritan persuasion. The Cavaliers hold the castle, with Justin Ambrose as captain. They are holding out against the Parliamentarians. The town is pro-parliamentarian, therefore do very little willingly for the Cavaliers. The town’s people, however, are short of funds, people are not spending money, at least very little. Jonas Radford, a fabric shopkeeper, finally acquiesces to supply fabric to the Cavaliers. He is a man of little soft emotion, treating his family harshly and on occasion cruelly. He’s extreme in every respect. His mother is cowed, his young brother, Samuel, deals with him using belligerency to cope, his sister, Abigail, is treated like a servant by both Jonas and his new wife, Rachel. Rachel and Jonas are sharp-tongued producing a bitter environment. The story becomes complex when Anne Rhodes joins the castle, needing protection as a widow of the war, and pursues Justin, a handsome and capable man. Justin is wary of her attention. He instinctively keeps his distance. However, when Justin is terribly burnt in a fire battling the Parliamentarians, Anne says she’s a healer and offers her services. She does more harm than good. Abigail has met the handsome captain. He provided protection from a situation which would have ended badly for her. She is thankful and wishes to repay her debt to him when she hears of his wounds. She goes to the castle with Samuel, basket of healing herbs in hand, provided by her mother. Anne Rhodes befriends Samuel when he accompanies Abigail and to borrow books from Justin’s library. Samuel ends up being a go-between for Anne, who sends small packages from time to time to leaders of the Parliamentarian forces. He’s playing a dangerous game. Abigail is riddled with problems. The war, her family’s rigid rules and unhappiness, and now her fear of a town’s smith. He’s paying too much attention to her. We find out he is unbalanced to say the least. Narrator Alex Wyndham makes this entertaining and poignant story more remarkable with his voice characterization. The smith’s voice, with its timbre, almost menacing tone, and slow, plodding marked cadence of speech gave my mind’s eye fodder enough to produce a true oaf of a man. It is easy to understand why Abigail doesn’t want to have anything to do with him. Wyndham’s drinking songs, actually sung, are a bonus in keeping with the spirit of the story. Things look increasingly bad for Abigail when Jonas decides the smith is to be her husband. Desperation sets in. She is beyond panicky and seeks help from Justin Ambrose. The narrator and author make a team which creates a superb, brilliant and pleasing production, no less marvelous this series than the Rockliffe series, produced by the same team. I would heartedly recommend the author’s stories with their conflicted characters and intrigue and encourage you to listen to the audio. 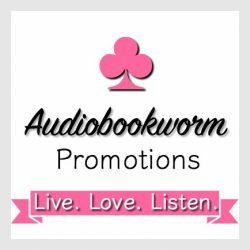 This entry was posted in Audiobook, Audiobook Review, Historical Fiction, Re-release and tagged Alex Wyndham, Audiobook Review, Historical Fiction, Stella Riley. Bookmark the permalink. I loved this book too, Eileen. The combination of Stella Riley’s writing and Alex Wyndham’s narration is magic. oh I always admire a good narrator especially when it makes the book even better.